Every girl loves to hang out at the MN Horse Expo. One year, I snapped a photo of this beautiful Friesen stallion Dante of Carisbrooke. I just had to do a quick little study of this handsome guy! 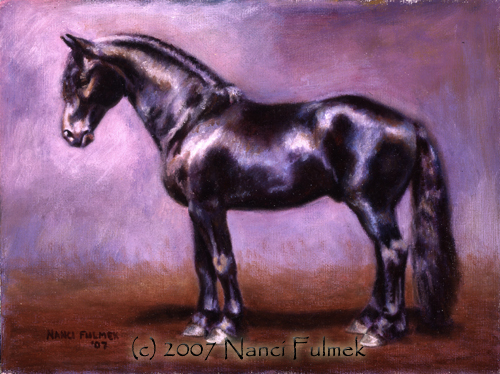 I hope to one day be asked to paint a life size portrait of a Friesen, I love them!!! NOTE: Image my view differently depending on your monitor. To see the painting, call me to make an appointment at my studio. I'd love to have you over!